MonoDAQ's mission is to deliver trusted measurement data immediately at the best price/performance ratio in the market, enabling customers to focus on the analysis and interpretation of the data, rather than spending time taking the measurements. 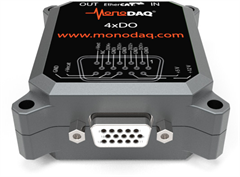 The MonoDAQ-U-X data acquisition tool is designed to help engineers with daily measurement tasks, serving as any of several discrete tools, such as a strain gauge amplifier, thermocouple interface, and voltage input, with a click of a button. The MonoDAQ-E-STG is a single-channel strain gauge amplifier with internal quarter-, half-, and full-bridge configurations. 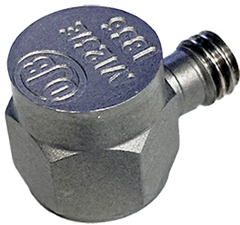 The programmable, low-noise device allows engineers to set the input voltage from 50 V to 100 mV and current source excitation up to 22 mA. 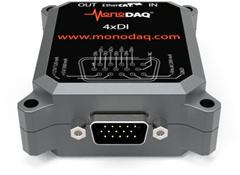 The MonoDAQ-E-gMeter is an all-in-one sensor and data acquisition device with an embedded triaxial MEMS accelerometer, ADC, and EtherCAT interface based on the MonoDAQ EtherCAT Platform. It is specifically designed to serve the structural health monitoring market. All MonoDAQ-E devices transmit power and signal over the same cable, allowing them to be distributed all over a structure or factory that requires monitoring.